"Web of Life was awarded a "Special Prize" in 2002 at the prestigious Sondrio Film Festival in Italy for showing "the relationship between man and nature". 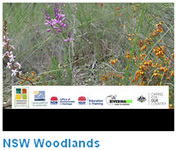 Web of Life documents the diverse and rich landscapes of NSW and the importance of conserving biodiversity. It contains magnificent scenery and wildlife, interwoven with stories of culture and nature. Dr. Damon Oliver, an ornithologist, talks about what is a woodland, where you find them, what they look like, why they are important and some of the activities that are useful to help their survival. 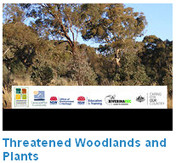 Submit a question for Dr Oliver for Threatened Species Day. Rainer Rehwinkel, a botanist, talks about conservation of endangered ecological communities and plants. 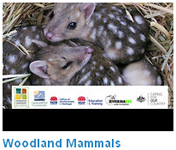 Submit a question for Mr Rehwinkel for Threatened Species Day. Dr Linda Broome, a zoologist, talks about why there are so few small woodland mammals remaining in the wild and what is being done to look after them and the other mammals that rely on woodlands for their survival. 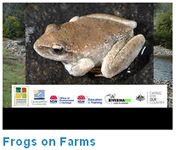 Submit a question for Dr Broome for Threatened Species Day. Dr Dave Hunter, a herpetologist, talks about threatened frogs and reptiles that live in woodlands. 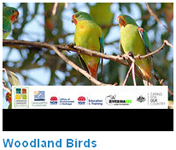 Dr Damon Oliver, an ornithologist, talks about threatened birds that rely on woodlands for their survival.